The Steam page of Monster Hunter World PC just went live and revealed that the game will be available August 9th with Denuvo DRM included. 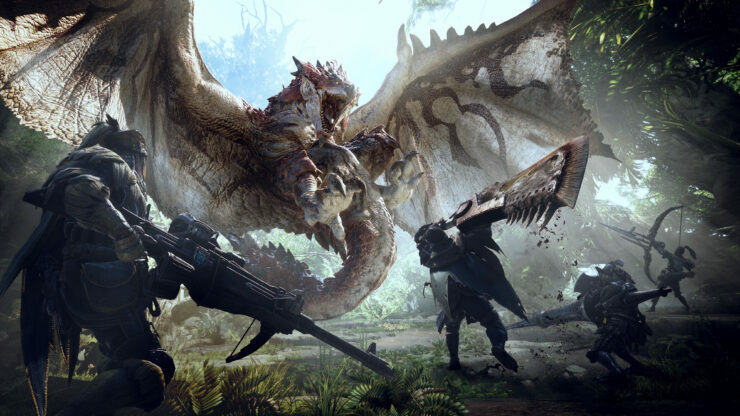 The system requirements we posted yesterday have also been largely confirmed, with the exception of the required space for Monster Hunter World PC (20GB instead of 25GB) and the addition of the following AMD cards: AMD Radeon R7 260x (VRAM 2GB) for minimum and AMD Radeon RX 570X (VRAM 4GB) for recommended. There are also a few pre-order details which you can find below and a brand new trailer.